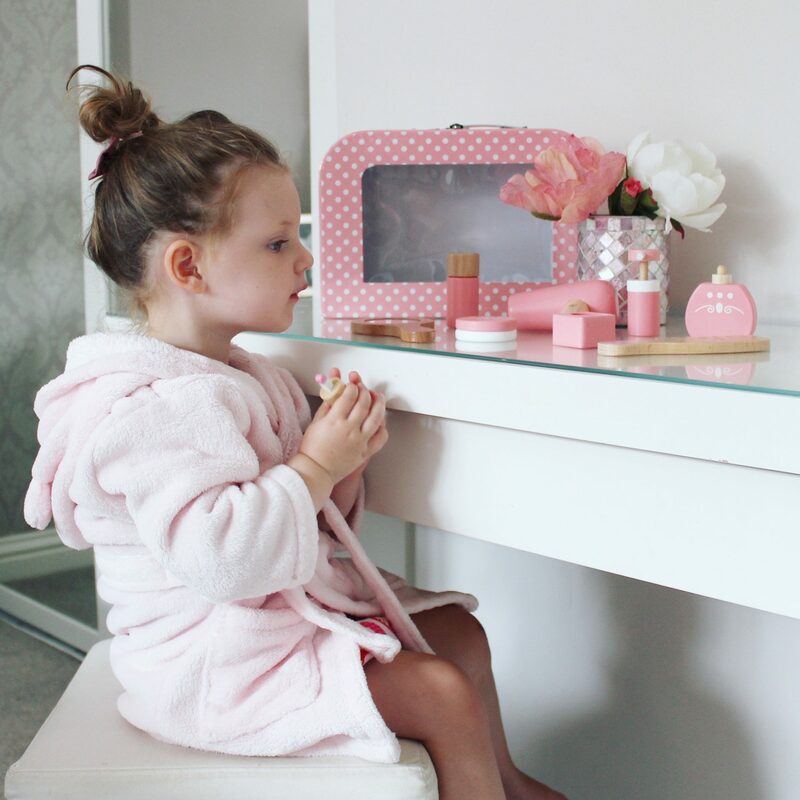 Little ones can make themselves feel a million dollars with this delightful pretend play Vanity Kit – with all of the essentials! 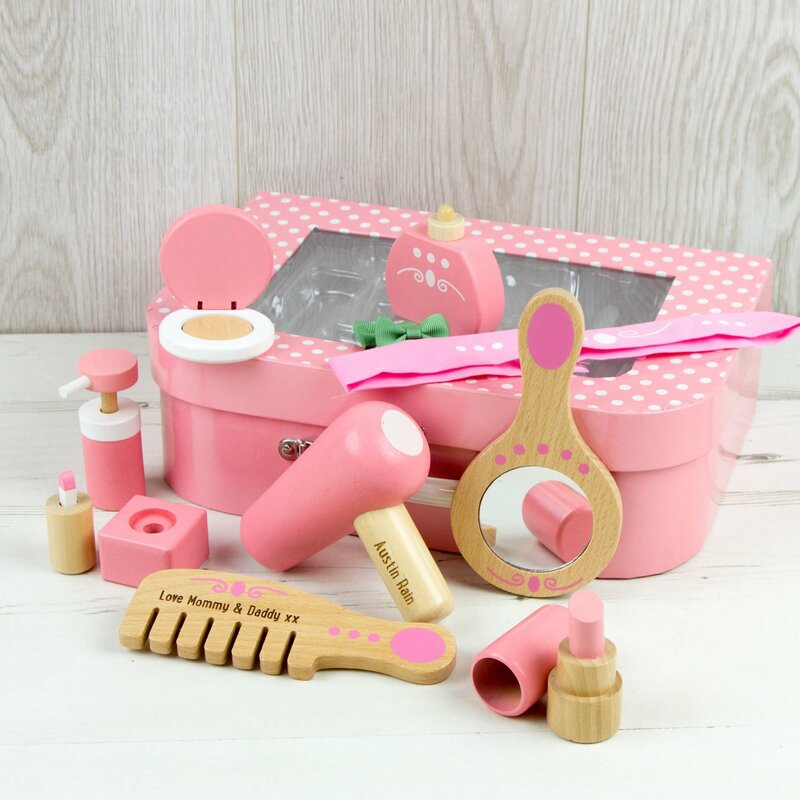 This 11 piece role play set features a hand cream bottle, mirror, comb, nail polish, lipstick, perfume, hair dryer, compact powder, head band and 2 bow hair bands, all supplied in a colourful carry case with handle. 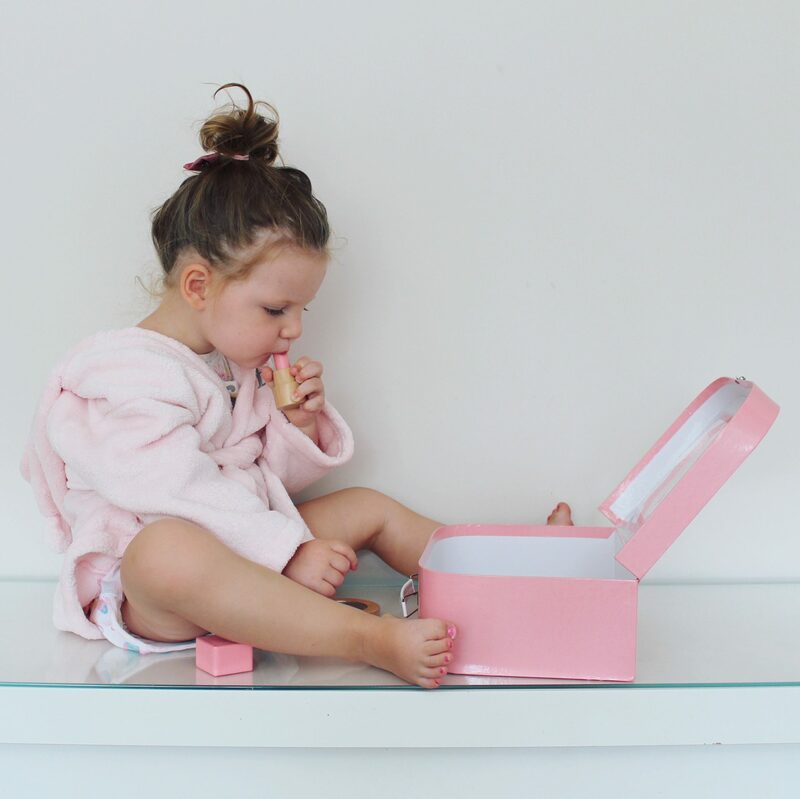 The handy carry case makes this Vanity Kit a great travel companion. 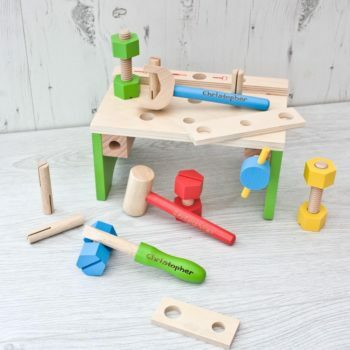 A great way to encourage creative and imaginative role play sessions. Promotes social and language skills. 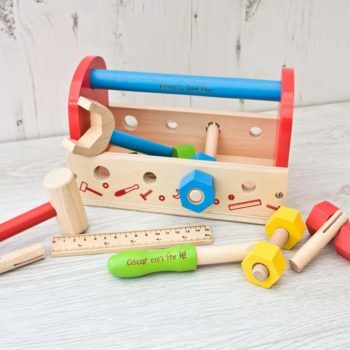 This kit is a wooden toy and does not contain cosmetics. Made from high quality, responsibly sourced materials. Conforms to current European safety standards. Consists of 11 play pieces. 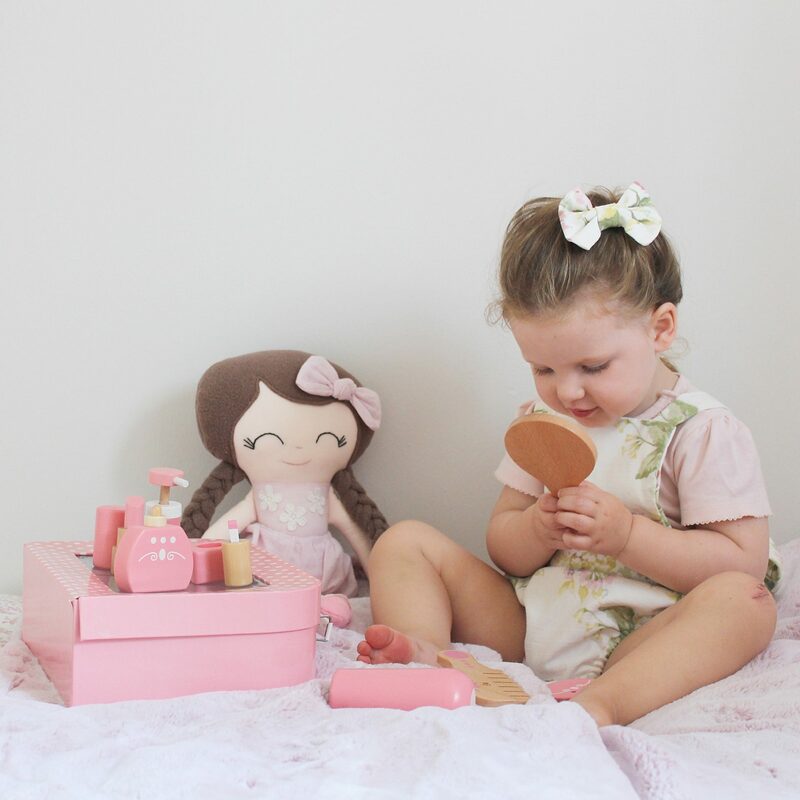 The Handle of the Hair dryer and the comb are personalised with any name and message.